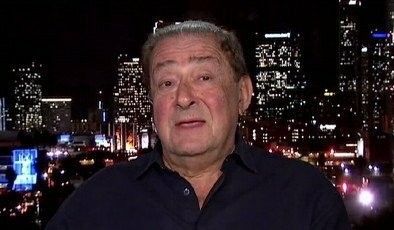 By Marcus Richardson: Top Rank promoter Bob Arum says he’s not sure if former WBA junior middleweight champion Miguel Cotto (37-3, 30 KO’s) is interested in fighting his fighter Manny Pacquiao fight now, according to examiner.com. Arum thinks Cotto may go in another direction by taking an easy fight in December rather than taking what could be another tough fight against Pacquiao. Arum obviously is interested in matching Pacquiao up against Cotto due to the high pay per view numbers that would result from that match-up. The previous Cotto-Pacquiao fight in 2009 drew 1.2 million buys, which is a lot more than Pacquiao’s last fight against Tim Bradley last June. That fight drew only 700,000 PPV buys. However, Arum wants Cotto to face Pacquiao at a catcweight of 150 pounds instead of the full weight for the division. Cotto might be eager to fight Pacquiao in another catchweight fight because their previous fight was also a catchweight fight at 145 lbs and Cotto took a beating. At this point Cotto is popular enough to where he can’t be easily pressured into things like catchweights, rehydration limits, and glove sizes like he would have been in the past. If there is going to be a Cotto-Pacquiao fight, it’s likely going to be without a catchweight unless Arum can convince Cotto with a high money offer to get him to take the fight at that weight. It will have to be an awfully high offer and I can’t see Arum coming up with enough money to make the fight happen. That’s the bind that Arum and Pacquiao are in. For them to get fights with Cotto or Juan Manuel Marquez, they’re going to have to pay them well because they can’t get them on the cheap, and those guys already know that Pacquiao doesn’t have a lot of options in terms of big money fights. It’s either Marquez or Cotto. Bradley won’t bring in the kind of big money that Pacquiao has been accustomed to getting, so he’s probably not even an option, although his name will continue to be floated until the bitter end when Pacquiao finally makes a decision this weekend or next week.